Viet Pham’s much-anticipated and long-awaited Pretty Bird eatery is finally real. It opened just this week at 146 Regent Street in the Eccles Theater building. This seems like quite a departure for Pham, who is best-known for his refined cooking at his previous restaurant, Forage, and for appearances on Iron Chef America (where he slayed Bobby Flay) and Extreme Chef. I say it is a departure from the Pham norm because the menu at Pretty Bird is so sparse: Nashville-style hot chicken, a couple of sides (crinkle cut fries and vinegar slaw) and a small beverage list of sodas, PBR and canned wine (Ruze Rosé). Personally, I admire chefs and cooks who do one thing very well, instead of trying to appeal to every taste and trend. 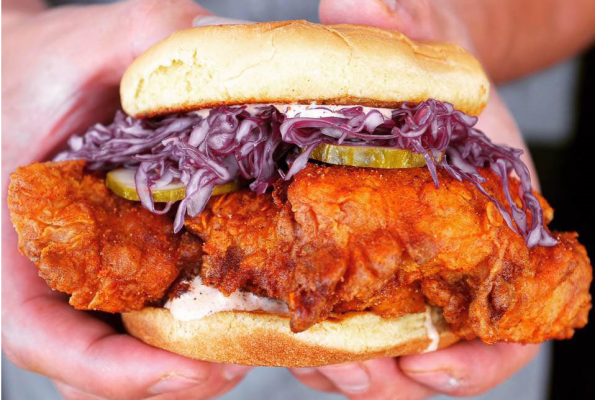 And, with someone as talented as Viet Pham aiming a laser-like focus on hot Nashville chicken, it’s bound to be sensational. 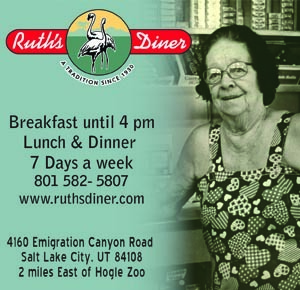 The chicken comes in four heat grades: Mild, Medium, Hot, and “Hot Behind.” Pretty Bird is open from 11 AM to 9 PM Monday-Thursday and until 10 PM Friday & Saturday. Holladay foodies will be happy to know that they now have a new, state-of-the-art Harmons Holladay Market (4675 S. Holladay Blvd.) to shop at. The new Harmons includes a modern cooking school, outdoor seating with views of Mt. Olympus, a 2,400 square foot mezzanine, and 16,500 square feet of shopping space. In addition to everyday groceries, Harmons Holladay Market also offers a gelato bar, a huge selection of specialty cheeses, dry-aged beef, artisan-baked breads, and more than 2,300 local products. “We are truly lucky to be in the grocery business, and can’t wait for customers to see the store we’ve created for their neighborhood,” said co-owner and vice-president Bob Harmon. 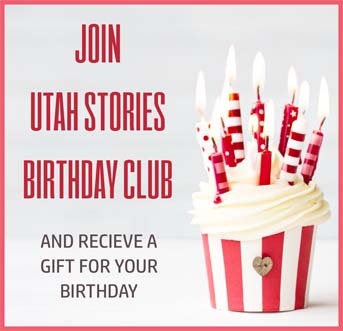 Urban Food Connections of Utah’s mission is to educate our community about local food, regional food producers and Utah’s proud agricultural heritage through a series of programs workshops and events. 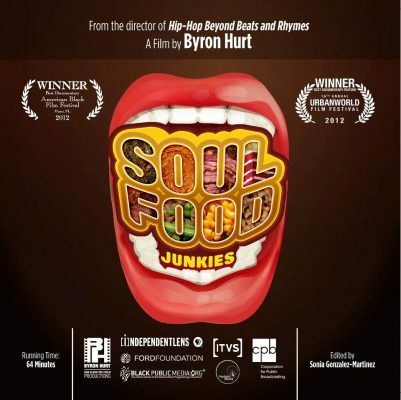 On Monday, February 26th from 7 to 9 PM KUED and Urban Food Connections in conjunction with the Downtown SLC Alliance will co-host a free community screening of the documentary Soul Food Junkies. In it, filmmaker Byron Hurt sets out on a historical journey to learn about the soul food tradition and its relevance to black cultural identify. In doing so, he meets up with some pioneers in the emerging food justice movement who are challenging the status quo food industry by creating sustainable and eco-friendly gardens, supporting local farmers markets, advocating for healthier food options in local supermarkets, and much more. The screening takes place at The City Library, Conference Room B. Light snacks will be provided, including the famous mac and cheese from City Cakes & Cafe. The screening is free, but RSVP is required. Click here to RSVP for Soul Food Junkies.